Exercise is important for people of all ages because it decreases the risk of many diseases and helps to fight obesity. Unfortunately, some people have more barriers to exercise than others. People with hip injuries, for example, may find it difficult to exercise since certain exercises can aggravate hip pain. People who have a bad hip, whether from arthritis, an injury, hip surgery, or another reason should stick to more moderate, low-impact exercises. Swimming is a great exercise for people with a bad hip because it is low-impact and doesn't cause the pounding of the joints that exercises like running do. 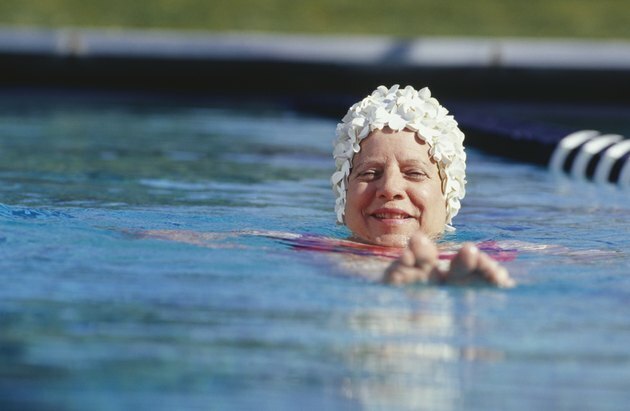 The Johns Hopkins Arthritis Center states that regular exercise like swimming can actually reduce joint pain and stiffness, improving the health of the hip. According to the Texas Hip and Knee Center, walking can be great for people with bad hips, as long as they pay attention to their bodies and don't overdo it. They recommend starting by walking short distances and slowly increasing the distance. Walking can burn calories to help a person lose weight and usually fairs well on the hips because it is gentle. Shoe inserts and anti-inflammatory medication can help to decrease pain during walking, according to the Texas Hip and Knee Center. People with bad hips can also usually participate in cycling, whether it is done on a stationary bike at the gym or outdoors on a road bike. Johns Hopkins Arthritis Center explains that not exercising can actually make bad hips feel worse by making them more stiff. Cycling opens up the hips, increases their range of motion and speeds up the blood flow without causing great impact to the joint. Depending on the reason for the bad hip, hip-strengthening exercises can be very helpful. For example, abduction exercises, which involve sliding the leg out to the side of the body and then back to center, can help to strengthen the muscles around the hips so they get sore less often. The American Academy of Orthopedic Surgeons also recommends doing standing hip extensions, which involve lifting the leg back as far as possible while keeping the back straight, and then letting the leg return to the standing position. Doing this exercise for 10 repetitions three to four times every day can strengthen the hip.